The following database applications were built using Microsoft technologies, before I started working with Salesforce. A Microsoft Access Data Project frontend, using a SQL Server backend database hosted remotely. The application supports two organizations in separate offices that share the administration of a child care provider training program. It tracks child care centers, teachers, tuition, reimbursements, and certification of child care providers. 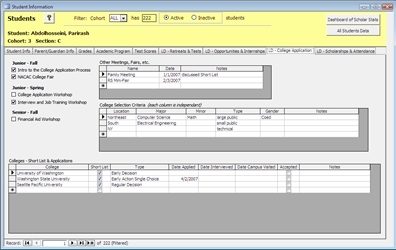 A Microsoft Access database frontend and backend. The database tracks students who are in their program, from middle school through college. It includes demographics, tracking test scores and grades, and the college application process. 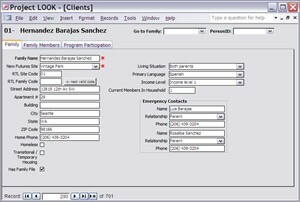 A Microsoft Access database frontend and backend. It tracks students who are in their programs. 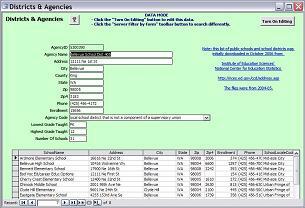 It includes demographics, surveys, program tracking, and reporting. A Microsoft Access Data Project frontend, using a SQL Server backend database hosted remotely. The application keeps track of all the people who are interested in their curriculum, and it is used in conjunction with their website to track curriculum purchases and downloads. 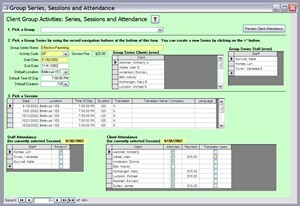 A Microsoft Access frontend database, using linked tables to a SQL Server backend database hosted remotely. This is an add-on application to their web application, to do complex reporting, and survey analysis. 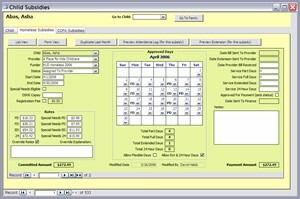 A Microsoft Access frontend and backend database. Keeps track of homeless families and children, child care providers, and all of the subsidies given to provide child care for these families. 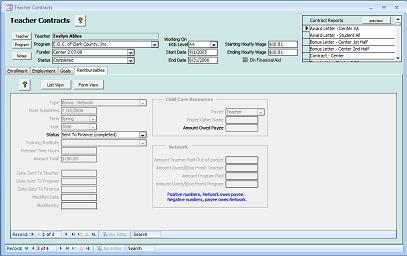 A Microsoft Access Data Project frontend, using a SQL Server backend database hosted remotely. This application keeps track of all the child care providers who get training through CCR, and it works together with their website that provides online class registration. Also tracks all of the technical assistance support given to child care centers. A Microsoft Access frontend database, using linked tables to a SQL Server backend database hosted internally. This application keeps track of all the services, clients, and insurance billing for YES. This line of business application manages their core business processes and is very complex, with over 100 tables in the database. A Microsoft Access frontend and backend database. This application provides tracking of families and students, and all of the services, referrals, and program participation they receive. 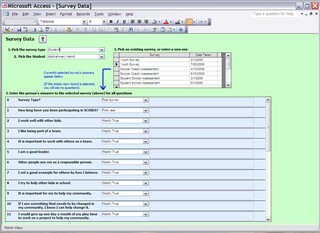 It also handles surveys and complex reporting.